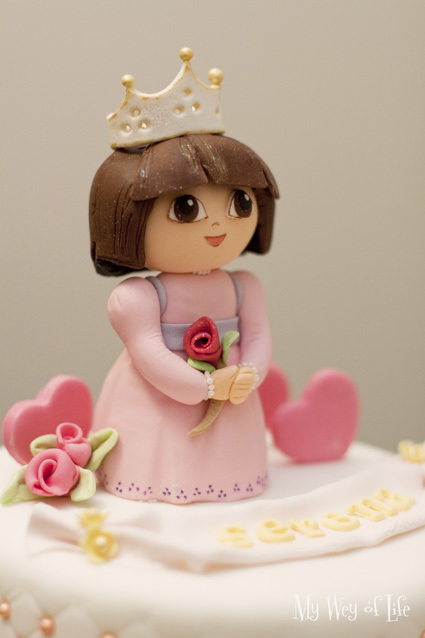 This Dora cake is for a girl who loves everything Dora and everything princess! 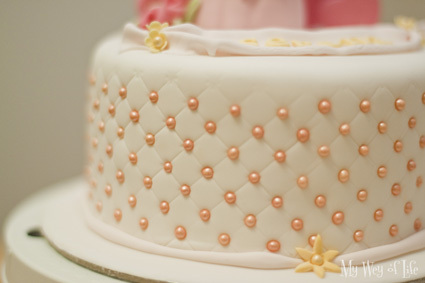 Her mum Cath must have a hard time thinking of an idea for the cake for her girl! Should I get her a princess cake or a Dora cake! To save her problems, I asked her if she wants Dora in a princess dress! Kill 2 birds in 1 stone yea? hahahaha.. I'm sure her little girl will love her mummy forever when she sees this! While I was observing her face, eyes and head.. I was thinking to myself.. hey.. I got her head "big" and I used to have her hair style too.. so.. can I have her big eyes please?? Unfortunately, that never happened. 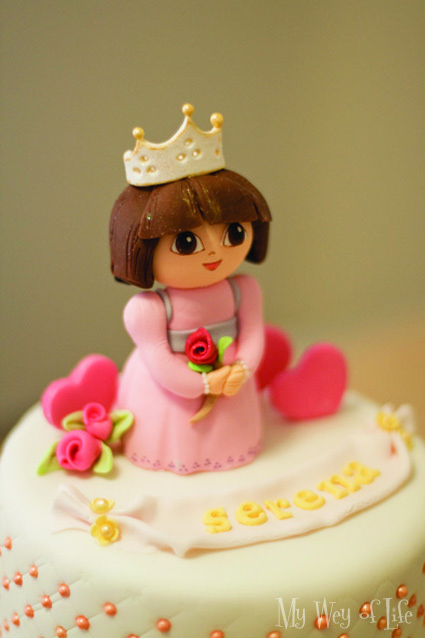 I'm very happy to know from Cath that her daughter Serena totally loved her cake! Even better message after that saying the whole family love the taste of my cake too!